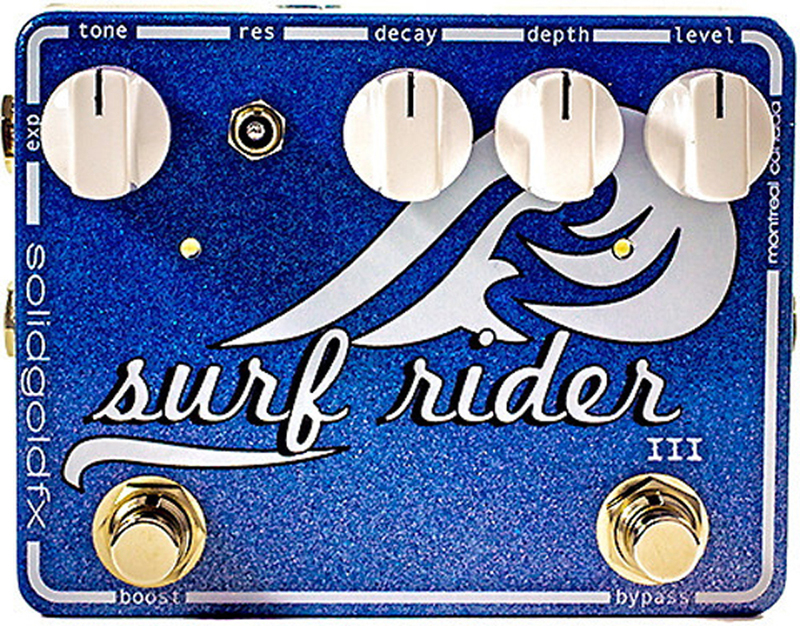 The SolidGold FX Surf Rider Deluxe offers authentic spring reverb with a wide sweep of control for an exceptionally flexible effect. The Resonance control adjusts the decay time so you can get the sound of a large cathedral or a small, tiled room, while the Depth controls the gain or intensity of the reverb. The Level control lets you set the balance between the dry and wet, or effected signal, and the Tone gives you everything from the bright sounds of classic surf to the warm, dark sounds of early rock and roll. 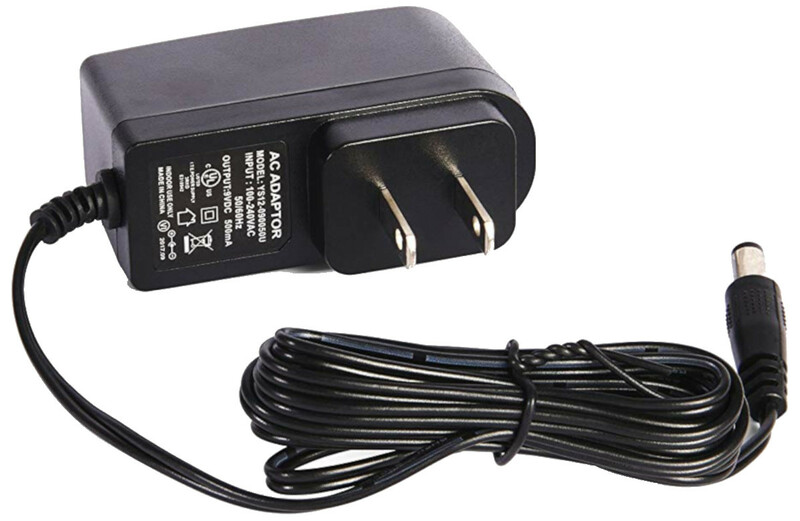 An internal trim pot adjusts for a relative boost or cut in the reverb level, as much or as little reverb as you need, which is then toggled by a single step on the Boost switch, and the expression pedal jack gives you instant control over the depth of the reverb, both of which are perfect for live performances. 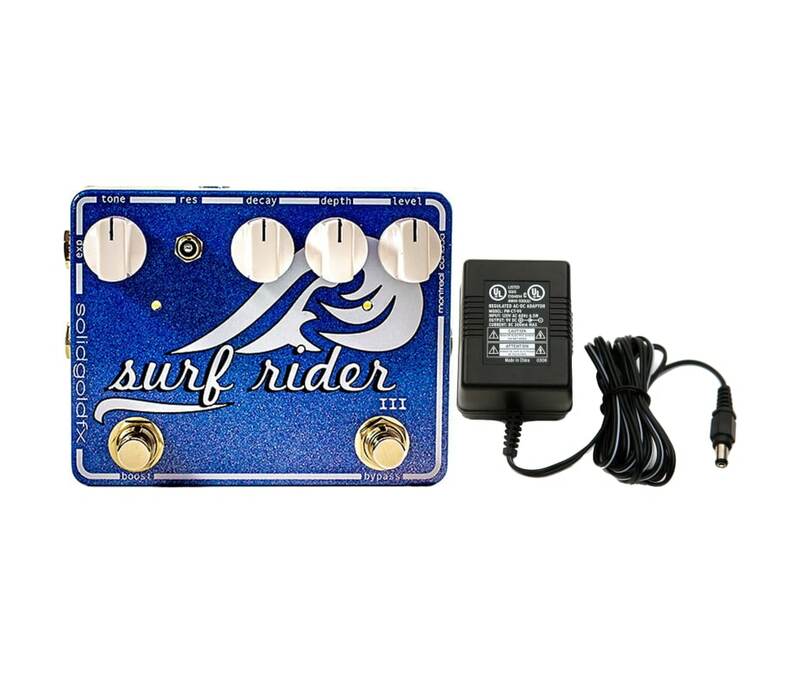 The SolidGold FX Surf Rider Deluxe is wired for true bypass and operates only with a 9vDC power supply. Decay: This knob controls the decay time of the reverb signal thus creating a vast range of sounds from small rooms to more ambient tones in addition to classic surf reverb. Depth: This controls the intensity of the reverb signal. Level: This controls the mix level or volume of the reverb signal. This control is active in both Hi and Lo level settings. Res: This 3 position switch controls the resonance of the reverb signal by way of negative feedback.